After editing multiple of Sledge’s posts and being mentioned numerous times in each post…its come time to contribute myself to Sledgehammer with Style. As Sledge has told you, we moved into our new place in July and have been slowly working on each room in between our jobs and trips east to see family and friends. As Sledge has been focused on finding solutions for the incredible lack of counter space in the kitchen as well as focusing on planning out a solution for turning our 2nd bedroom into an office space for both of us (ok maybe it’s a little more for me), I have been focused on finding an affordable home speaker solution. We are an Apple house first and foremost so we rely heavily on iTunes for our music needs, though Pandora is also frequently used and I subscribe to the Beats Music subscription service. So whether Sledge and I are looking to listen to the latest from Mumford & Sons or a Beats-curated “Best of the 90s Hip-Hop” playlist, we were focused on finding a quality speaker solution. 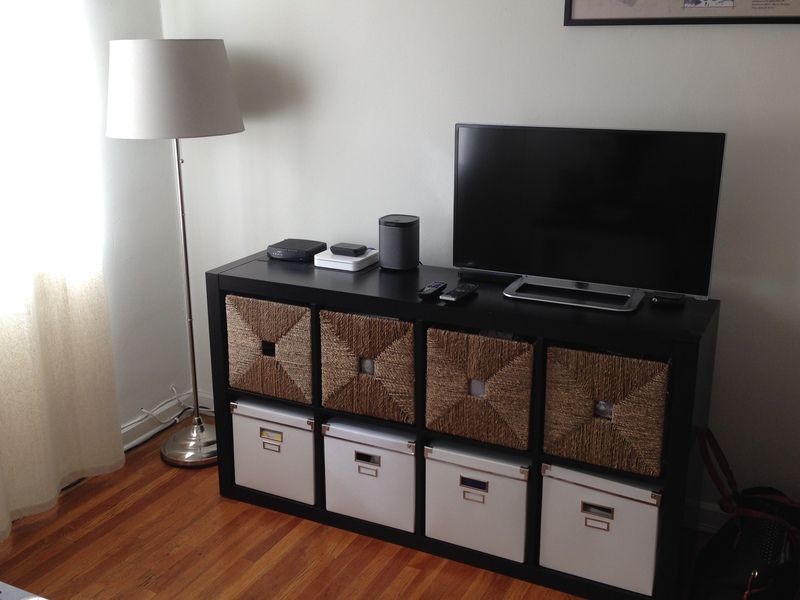 For our previous apartments, we relied on using a Jambox by Jawbone or the bluetooth functionality of our Samsung soundbar in the living room. 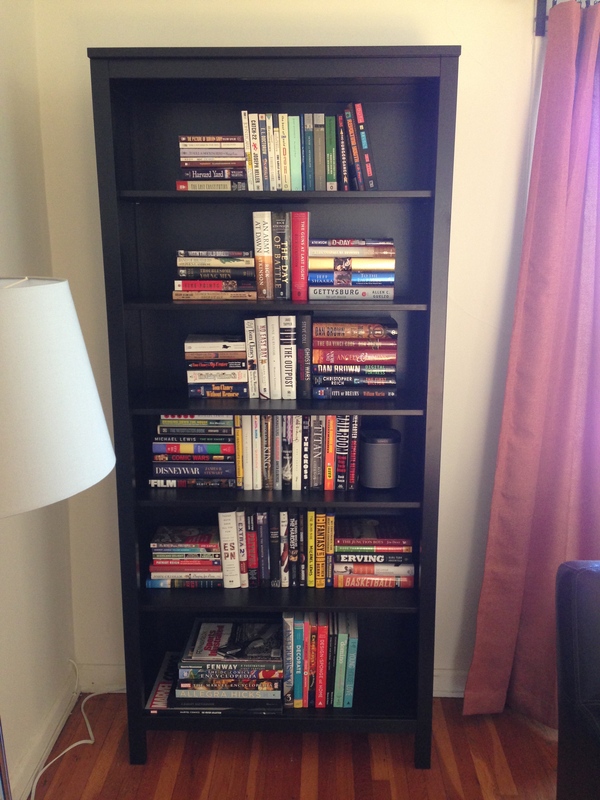 For the most part, these solutions worked great, but as we moved into our more spacious apartment, we found ourselves wanting a solution for the office, kitchen and living room. Initially we relied on a Mini Jambox for the 2nd bedroom; this worked but like most people, we keep most of our music on phones so when we get calls the music stops and the Mini Jambox would turn into an awkward “experience” of using a speaker phone we never intended to while trying to disconnect the phone to take the call with greater ease. 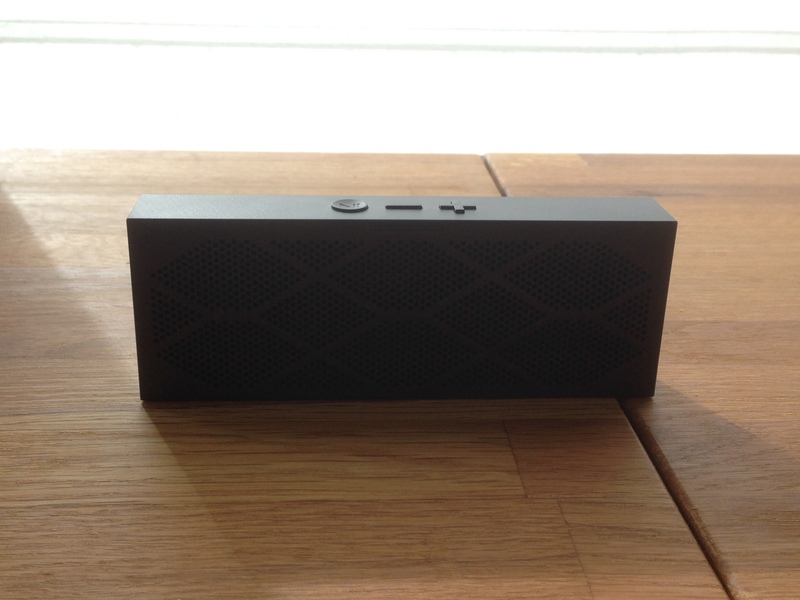 The Mini Jambox did offer a high level of ease/convenience albeit at the expense of an optimal sound experience. The speaker is small, portable, includes a rechargeable battery, offers decent sound, connects via bluetooth, retails for only $130 and is easily controlled by your phone/tablet (iOS or Android). That’s a tough value proposition to beat. 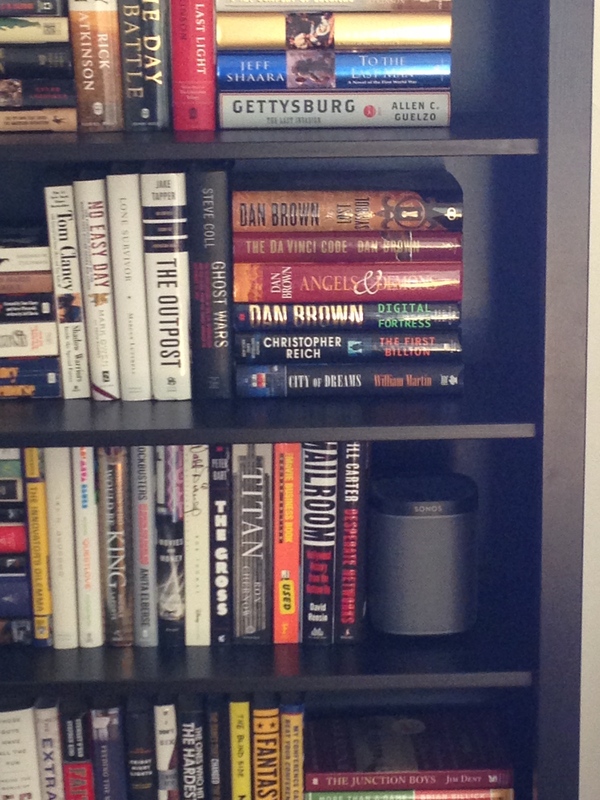 Over the Christmas holidays last year, my brother was raving about (and showing off) his new Sonos sound system that he purchased for their 3 bedroom place in New York. Trouble was, the full system in all its glory (e.g., soundbar, subwoofer, two additional speakers for the bedrooms, etc.) can run $1,500+ depending on how you personalize it. The major upside with Sonos is that it offers a full home music solution that allows you to play the same music throughout your home as well as isolate music to individual rooms. 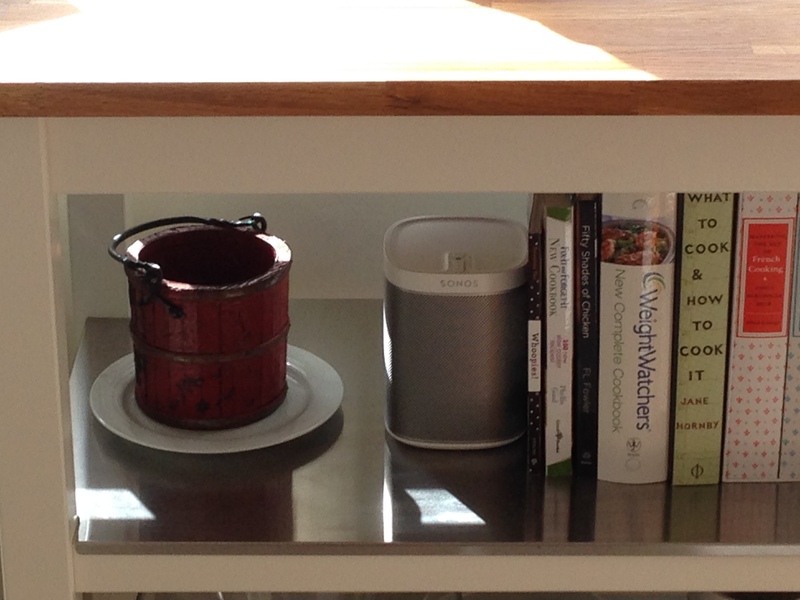 In doing some more research, I discovered the very well reviewed Sonos Play:1 speaker, priced at $199. 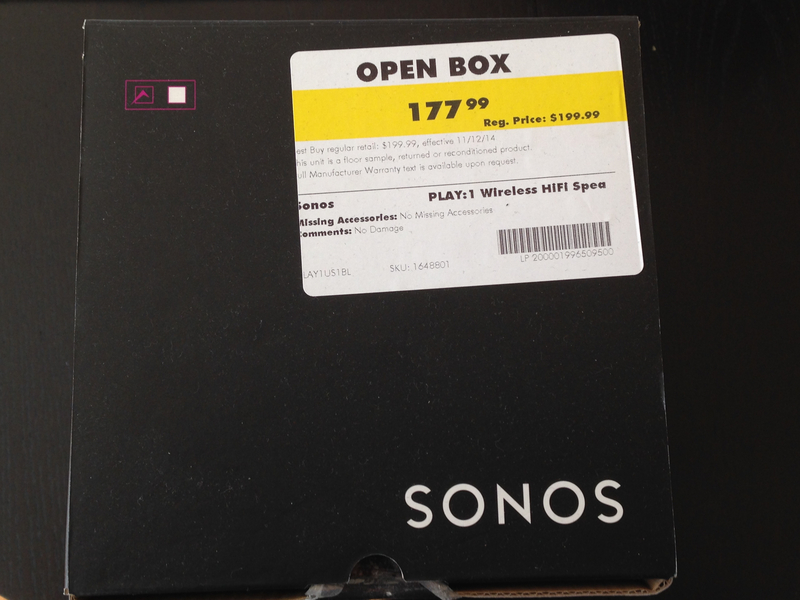 In a recent trip to Best Buy (I was contemplating getting another Mini Jambox for the bedroom), I noticed an open-box Sonos Play:1 speaker on sale for $178 in the home theater section. Given the modest price differential (vs. a Mini Jambox) and Best Buy noting on the box that the speaker had “No Damage,” I decided to give Sonos a try. 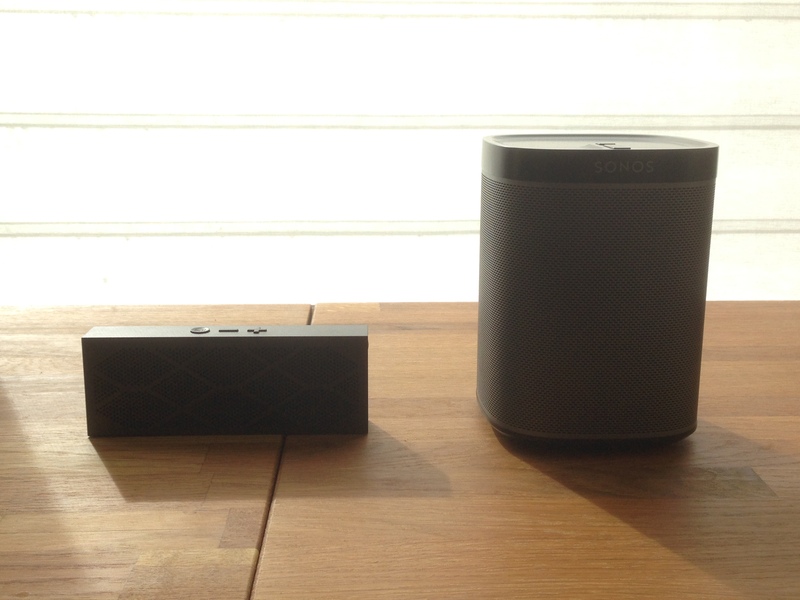 Sonos, as of September, gives you two options to setup a wireless speaker system. Via your home wi-fi network or through setting up a separate dedicated Sonos wireless network. 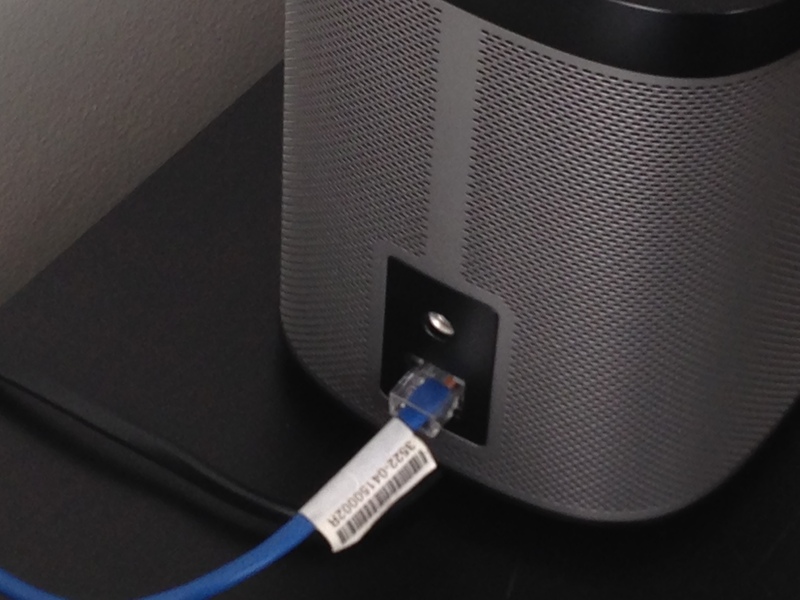 I initially setup the speaker in our 2nd bedroom (aka “the office”) and was able to easily connect it to our home wi-fi network. I thought the office would prove to be an adequate test for the Play:1 speaker as we previously used a Mini Jambox here for our music needs and, with it being a decent sized room, would require a superior music solution. Similar to other consumer/tech site reviews, Sledge and I were admittedly very impressed with the performance of the Play:1. The speaker is small enough to easily sit on top of the Ikea Expedit shelving unit we have our 32” TV on and fill the room with music. Since our initial Play:1, we have purchased two more Play:1 speakers, also open box from Best Buy. 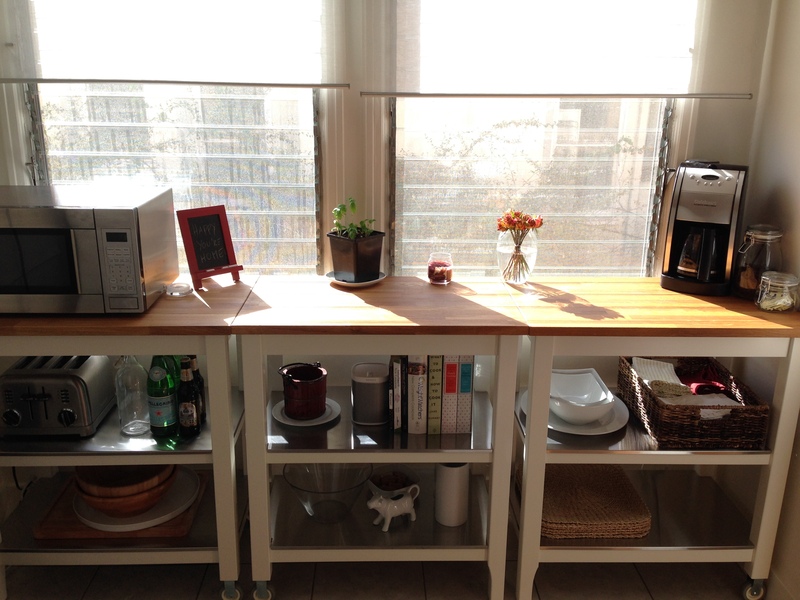 We placed a white one in the kitchen, which we use a lot in the mornings and while Sledge or I cook in the evenings. The Sonos Controller App for iOS and Android works perfectly to allow us to play music from various music services like Pandora, Songza, Beats Music, as well as our iTunes Music on our iPhones and iPads. We have also elected to change the speaker setup: we now use the dedicated Sonos wireless network through connecting the Play:1 in the office directly into our wireless router. Overall, we have been pleased and highly recommend the Sonos Play:1 speaker to anyone looking for a home solution that offers a superior audio experience to the Mini Jambox or similar bluetooth speakers. There are tradeoffs, as the Play:1 is meant to be stationary and needs to be plugged into a wall outlet versus having a rechargeable battery, but we have been very happy with the overall performance of the speakers. In addition, through buying “open box” speakers at Best Buy we were able to outfit our place with 3 Play:1 speakers for less than $550 all-in.